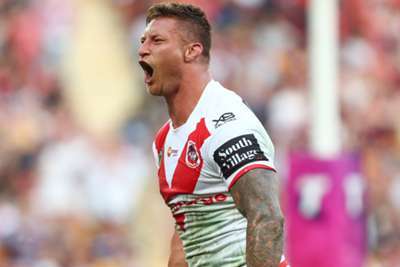 St George Illawarra Dragons back-rower Tariq Sims re-signed with the NRL club until at least the end of 2022. Sims, 28, signed on for a further three seasons with the Dragons after his contract was due to expire at the end of 2019. A one-time New South Wales representative, Sims has played 155 NRL games, including 57 for the Dragons. "The Dragons has always been a club I've wanted to play for and represent being from Gerringong. To have the chance to extend my time with this special playing group, it was too good an opportunity to go anywhere else," Sims said. "Mary [Paul McGregor] is a coach I've always wanted to play for and he has always wanted to coach me, which was very important when I first came to the Dragons. I'd like to think I've taken my opportunities here at the club with both hands. "The goal is always winning a premiership, but I can't wait to help develop the players coming through. "To see some of these young kids kick on in their careers from the under-20s to the NRL in the coming years will be a real highlight." The Dragons also signed Lachlan Maranta, previously with the Brisbane Broncos, to a one-year deal.